Should your travels take you into the Bozburun peninsula, there is a peaceful piece of paradise not really mentioned in gulet itineraries. We suppose it’s because there’s really nothing there in the sense for shopping and sightseeing. But isn’t that what some of us look for sometimes too ? An area where you will find next to no boat traffic during the season with plenty of solitude. It’s a place that would make for a great spot to moor and have a bonfire on the beach, or even before – a barbeque. They call this spot Tavsanburnu. Actually the little island across the way is named this. But for the purpose of identifying the area, the locals use this name. We like to travel to places where nobody has been before or at least a place which has not been overwhelmed by mass tourism. You can cruise with your gullet to the islands and bay’s that are in your itinerary, but what about going to Tavsanburnu? A hidden treasure just around the corner from Bozburun. 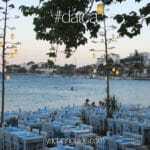 Instead of dropping your anchor in Bozburun harbor cruise to Tavsanburnu. 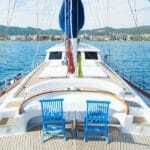 There you will have a magnificent time, with just you and your private gulet! While many travelers opt to visit places that everyone goes to, this is one mooring point that is not on the list. During the winter months when gulets go into hibernation (moored or shored), Tavsanburnu is where some gulet charter owners take their boats. A drive along a dirt road somewhat adequate to reach this point can lead one there – if it’s not raining. Otherwise it is easily accessible and preferred this way by boat. Tavsanburnu is really just around the bend from the town of Bozburun. 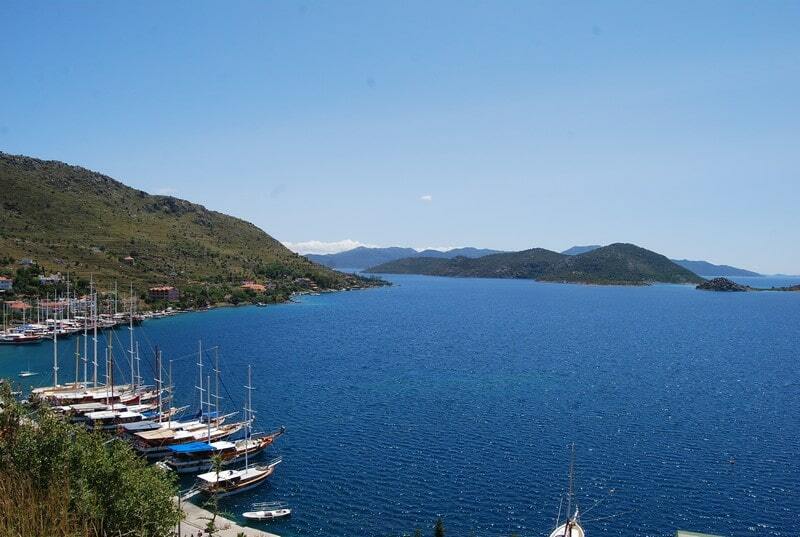 So if you didn’t want to drop anchor in the Bozburun harbor, this might just be the right place for a private time on your own private gulet charter in Turkey. You might even like to grab some snacks, fruit and drinks, and go for a hike or bike ride to the top of the hills and enjoy the panoramic scenery while the boats sail right by your new found private spot! 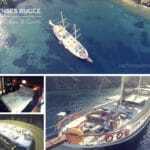 We happen to run into it on a visit to see the new build, gulet Toska. She was actually launched in 2013, but the owner wasn’t satisfied and shored her in Tavsanburnu to complete some areas to his satisfaction. 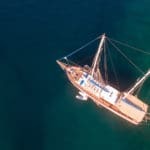 If you’re wondering about the Toska gulet (← see details), she’s a darling 21 meter, 5 cabin wooden Turkish gulet with a fly bridge. She’s tastefully decorated and built with plenty of TLC. 🙂 The Toska gulet is probably going to be the next sweet and affordable gulet charter – to later become popular!